Advances in technology are pushing back the boundaries of the possible. Even the question of what it means to be humans is open to change. Can the ethical debate keep pace with technology's rapid progress, or are matters of right and wrong being left behind? How can Christians find a way through this moral mine field? How can we talk about these things in a way that helps rather than browbeats our friends? 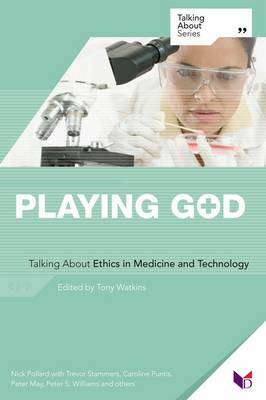 Playing God: Talking About Ethics in Medicine and Technology is an exciting introduction to thinking about these issues.